Huge Savings Item! 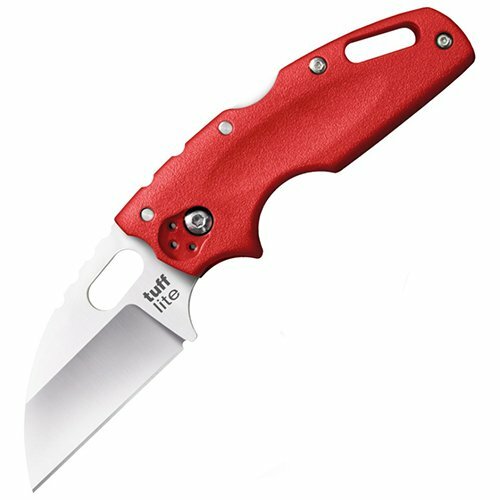 Save 13% on the Cold Steel CS20LTR-BRK Tuff Lite Plain Red by Cold Steel at Kerinci. MPN: CS20LTR-BRK. Hurry! Limited time offer. Offer valid only while supplies last. 3.75'' closed. 2.5'' satin finish AUS-8 stainless wharncliffe blade. Red Griv-Ex handle. Pocket clip. Thumb pull. Lanyard hole. 3.75" closed. 2.5" satin finish AUS-8 stainless wharncliffe blade. Red Griv-Ex handle. Pocket clip. Thumb pull. Lanyard hole. Boxed.